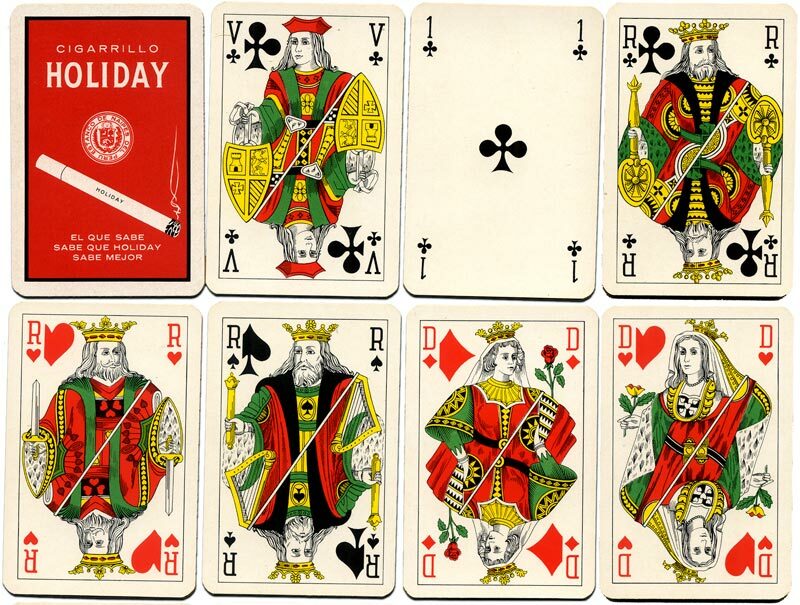 Belgian or ‘Genoese’ pattern manufactured by Biermans for the Estanco de Naipes del Peru, c.1965. 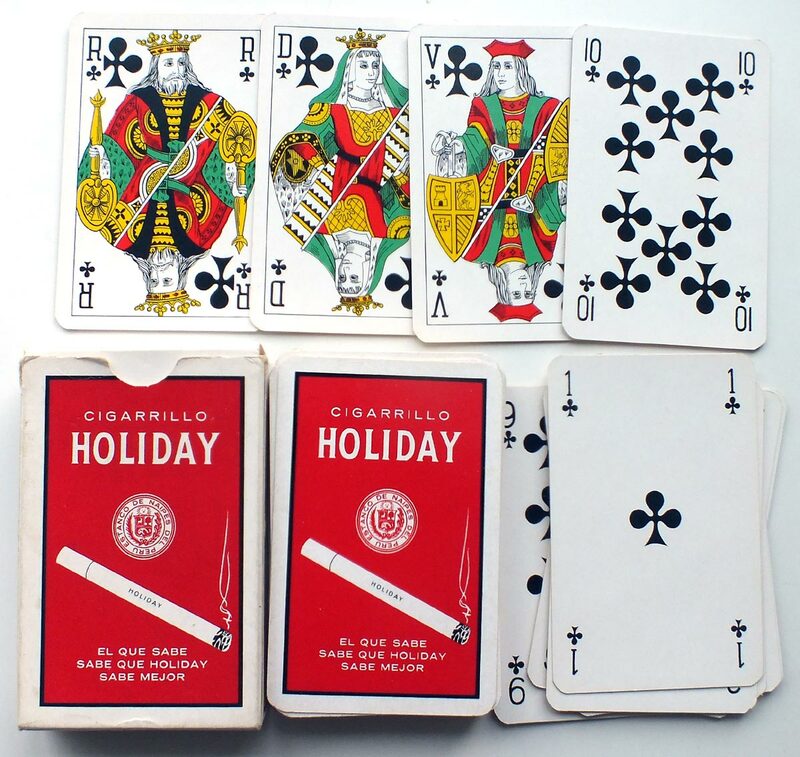 Below: Standard Genoese pattern playing cards, with French indices, manufactured by Biermans for Cigarrillo Holiday and the Estanco de Naipes del Perú, c.1965. 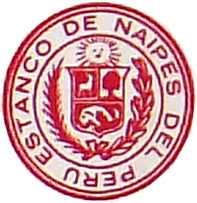 The legend "Estanco de Naipes del Perú" is printed on the box and reverse of the cards in the centre of the advert for Holiday cigarettes.